It’s time to light the candles and pop the fizz because Autism Wessex is 50 this summer! Autism Wessex, a regional charity which provides specialist services for adults and children affected by autism and associated difficulties, is 50 years old this August. 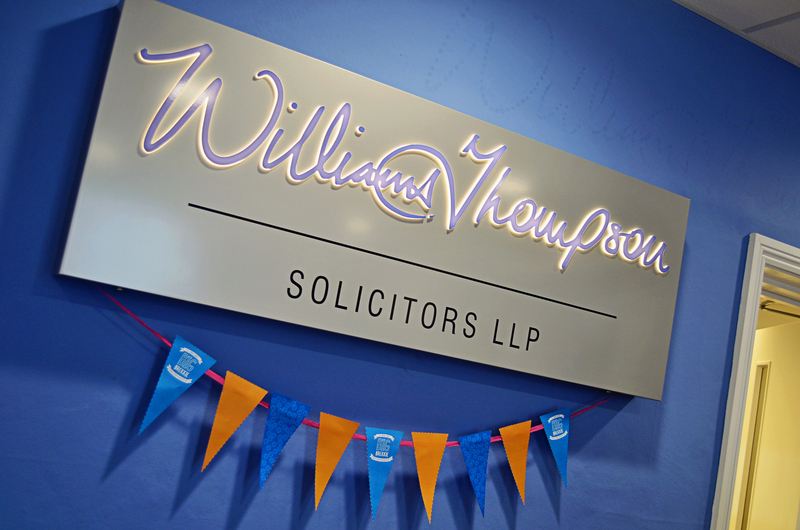 Over the past six years, our team at Williams Thompson has built a great relationship with the amazing representatives of Autism Wessex. We’ve regularly supported them through fundraising events as well as sponsoring their charity initiatives like their annual ‘Big Brekkie’. Autism affects around 700,000 people in the UK. If you include their families, autism is a part of daily life for 2.8 million people. Autism Wessex was established in 1968 in a garden shed, by parents of children with autism and has grown significantly over the years. Now, it provides a wide range of specialist education, social care, and advocacy services across the region. However, support from the local community is pivotal in ensuring they can continue to provide vital services for people affected by autism and their families. To help Autism Wessex celebrate their 50th anniversary, we are sponsoring a Family Fun Day on Saturday 25th August at Portfield School, a non-maintained special school, in Christchurch. Join us from 2.30 pm for a fun filled afternoon with food, drink, entertainment and games!